See scan - very good condition. This is a nice socialist / communist era Soviet USSR Russian staff badge of members of staff of the Russian Space Flight Cosmonaut / Astronaut Center in the name of Yuri / Juri Gagarin. Obverse of the badge shows a wing and gagarins portrait on top and besides is the cypher of the Center CTC - Center for Training of Cosmonauts in Russian. 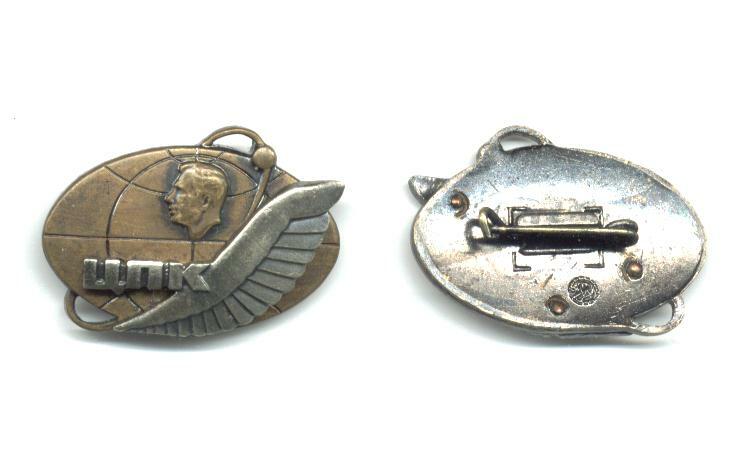 Nice militaria / military and scarce space exploration collector memorabilia piece and one of the nice Russian badges.